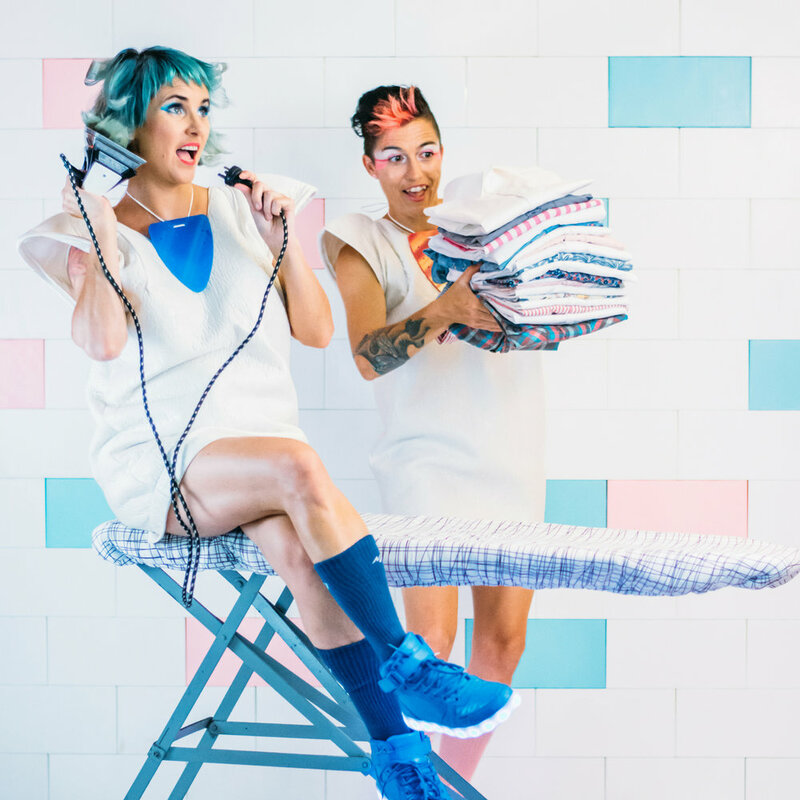 Award-winning Australian electronic duo, The Ironing Maidens are challenging gender norms with an unapologetic mix of in-your-face lyrics, humour and iron-y with hot new single, Lighten My Load, out 1 March. Known for engineering their electronic instruments from real irons and ironing boards, The Ironing Maidens don’t beat around the bush on this fresh-pressed track with a clear message on gender disparity in domestic labour. “Think old-school electro trash meets frustrated house wife, with catchy beats and a satirical spin on an important issue," said the duo's singer-songwriter, Melania Jack. “We have got to stop pussyfooting around the problematic division of labour in the home and demand that the people we live with clean up their acts to lighten the load for women! “Not enough has changed since the 1950s. It’s disappointing to see recent Australian studies finding that women still do significantly more housework than men, even in households where women are working full time or in a share-house situation. Lighten My Load follows the Ironing Maidens’ 2018 debut EP Electro Housewife, which saw the duo tour regional Australian laundromats, become finalists for the prestigious Grant McLennan Fellowship, and adapt their show for the stages of Woodford, Falls, Jungle Love and Adelaide Fringe Festivals. Alongside sold-out shows, The Ironing Maidens’ just took out the John Chataway Innovation Award at the Adelaide Fringe Festival 2019, awarded to the production which best demonstrates innovation, originality and excellence within the arts. Launching their single the week prior to International Women’s Day was no kitchen mishap, with producer-engineer, Patty Bom saying the issue needs ironing out. “We believe that gender parity starts at home. The person doing the lion’s share of the mental and physical work in the home, and our attitudes towards it, plays a huge role in how children perceive and adopt gender roles. “It sends a clear message about who is important and whose work and time is more valuable. “We want to see men and women sharing the load more for better balance at home and ultimately, in the studio and office too. The Ironing Maidens’ hot new single, Lighten My Load, is out 1 March on all digital platforms. 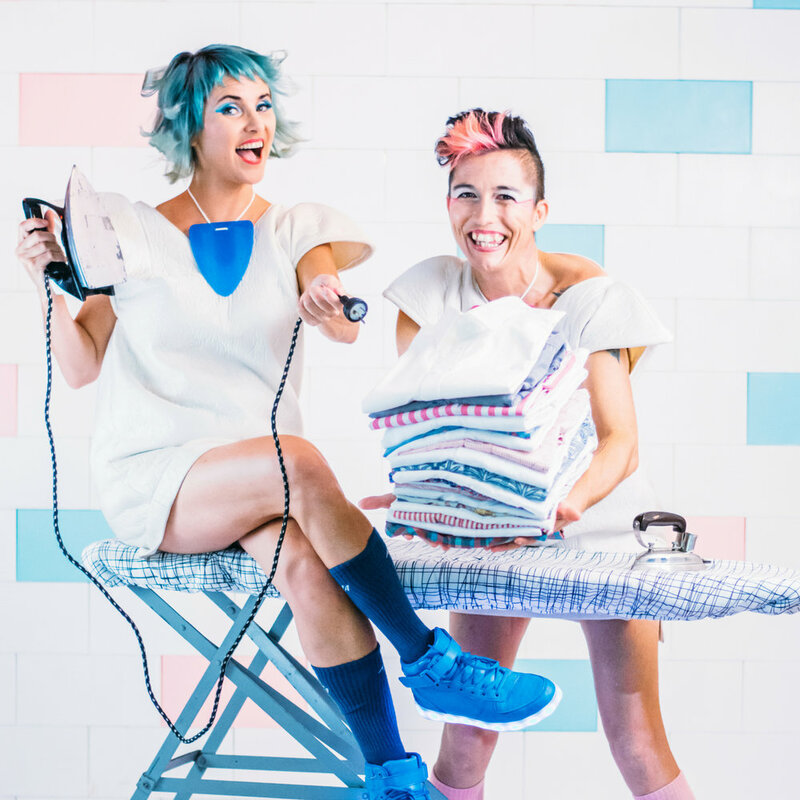 Award-winning electronic duo, The Ironing Maidens are putting domestic labour, technology and the history of women in electronic music centre stage with a powerful new take on house music - electro housewife. Ingeniously adapting real irons and ironing boards into electronic instruments to create breakthrough beats, The Ironing Maidens have toured their show in regional Australian laundromats and major festivals here and in Europe. The Ironing Maidens, Patty Bom and Melania Jack, were inspired to create this experimental electronic arts project five years ago when they discovered many female electronic music pioneers were absent from their electronic music education. "Looking into the themes prominent during the 1950s when women like Daphne Oram were developing their highly influential work, we noticed parallels between the dismissal of women’s work in the home and the lack of recognition for women in music technology development,” said Patty. "So we developed a new show, sampling sounds of the iconic iron and other household staples, and shining a spotlight on attitudes around issues of recognition and equality." A homage to house music and a call to arms for women everywhere, The Ironing Maidens are bringing their fresh pressed beats and unique recipe for electro music to a laundromat near you.